These sales, even if not officially dubbed MLK Day sales, will take place during the long weekend. If you’ve recovered from the holidays and are starting to crawl out of shopping hibernation, Martin Luther King Jr. Day is a good opportunity to ease back into deal hunting. While MLK Day weekend is the first major sales weekend of the year, it’s become a less major shopping event over the years, and many retailers don’t even advertise their three-day-weekend sales as “MLK Day sales” anymore. 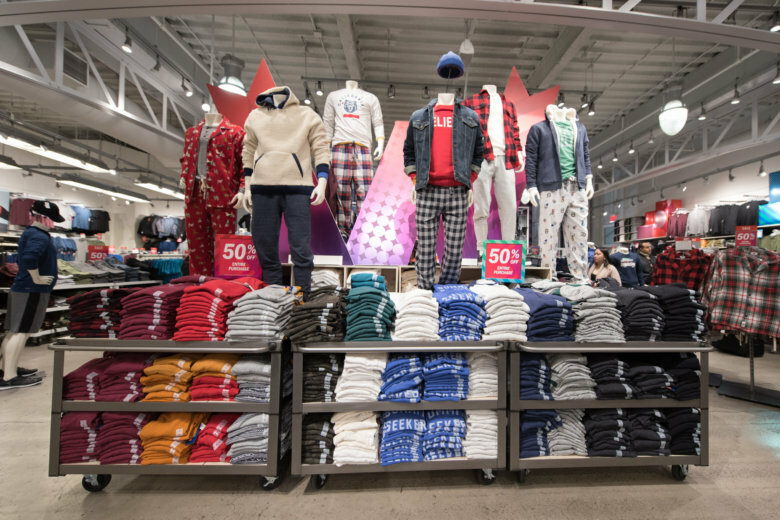 However, thanks to the tradition of retailers marking down towels and bedding in January, and clothing retailers trying to offload sweaters and coats in anticipation of spring, discounts tend to converge around MLK Day weekend. These sales, even if not officially dubbed MLK Day sales, will take place during the long weekend. Some even start early or run later. Check retailers’ websites for up-to-the-minute promo codes. Read on for additional information about each sale taking place during MLK Day weekend. American Apparel. While this sale ends on Jan. 20, a day short of MLK Jr. Day, the savings are not to be missed for weekend clothing shoppers. Use code SAVEMORE when checking out online to save 30 percent when you buy three sale items, 40 percent when you buy four sale items and 50 percent when you buy five sale items. This promo has already begun. Banana Republic. Sale items will be an extra 50 percent off starting Jan. 17 and running through MLK Day itself. No coupon code is needed. The discount is automatic. Bed Bath & Beyond. The January Gift Card event has already begun and continues through MLK Day weekend. Buy $100 worth of Wamsutta or Therapedic towels, sheets, bed sets or pillows and get a free $20 gift card for Bed Bath & Beyond. Fossil. Fossil’s semiannual sale overlaps the holiday weekend and continues through Jan. 27. Purses, jewelry, watches and wallets are discounted by up to 50 percent. Gap. In the market for winter clothing? Sale clothing is up to 75 percent off through Jan. 21. The sale section is filled with sweaters, coats and other cold-weather items. So update next winter’s wardrobe or prep for a late spring this year. Home Depot. Select appliances are up to 30 percent off through Jan. 23. The sale includes French door refrigerators, washers, dryers, ranges, dishwashers, microwaves and more. JCPenney. Get ready to start checking the JCPenney website on Thursday Jan. 17. You’ll find promo codes worth up to 15 percent off most orders, and even bigger discounts on larger orders. Michaels. If you can shop on Saturday of MLK Day weekend, check out the Frame-A-Thon sale at Michaels, which is offering up to 70 percent off custom frames and 50 percent off gallery and float wall frames. Or shop the Annual Organization Event, which is offering up to 50 percent off baskets, storage containers and planners. Both sales run through Jan. 19. Neiman Marcus Last Call. The marked-down merchandise at Neiman Marcus Last Call is getting price-reduced even more from Jan. 16 to Jan. 21. Clearance items will be up to 80 percent off. Old Navy. The Epic Winter Sale has already begun and runs through MLK Day. Get up to 60 percent off storewide and up to 75 percent off clearance items. The sale is heavy in previous seasons’ clothing, so expect to find plenty of options for fall and winter, plus some year-round wardrobe staples such as jeans. Overstock. The Home Trends Event features a variety of deals, plus free shipping. Specifically, get up to 70 percent off mattresses and memory foam, 15 percent off select rugs and 10 percent off select bedroom furniture, bedding and bath towels through Jan. 21. Southwest Airlines. Ready for a post-holiday getaway, or already starting to think about spring break? Southwest is running a sale through Jan. 24 that offers one-way fares as low as $49. Note that your price will depend on your dates, destination and the city from which you depart. Target. Target hasn’t announced specific MLK Day weekend sales for this year. However, if you’re shopping online at Target.com now through the weekend, you can get $5 back for every order over $50. The discount is automatic and will be applied to your order once the items in your cart exceed $50. Walmart. Walmart’s annual bed and bath event is now live and features up to 50 percent off sheets, bedding, bath towels and other bath accessories through MLK Day weekend. Zonkd. The online mattress and pillow retailer will offer 30 percent off all orders with promo code MLK30 Jan. 17 through Jan. 22.